LUSH are ALWAYS bringing out the most amazing ranges. Every years we anticipate their seasonal collections, from Valentine's Day, Mother's Day, Easter, Father's Day, Halloween and Christmas – LUSH always deliver and I'm always excited to see what newness they'll be releasing next. 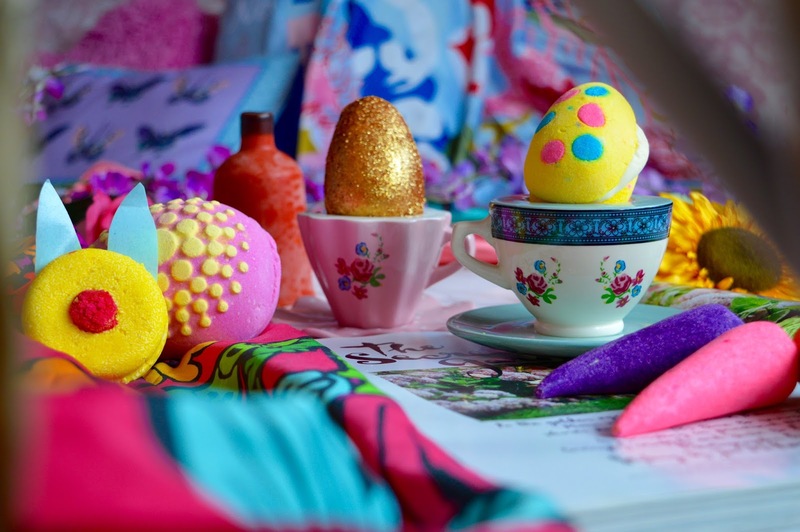 If you want to see and hear a little more about the 2018 LUSH Easter collection, keep reading my love! Aside from their Halloween and Christmas ranges, their Easter range is definitely one of my ultimate favourites! 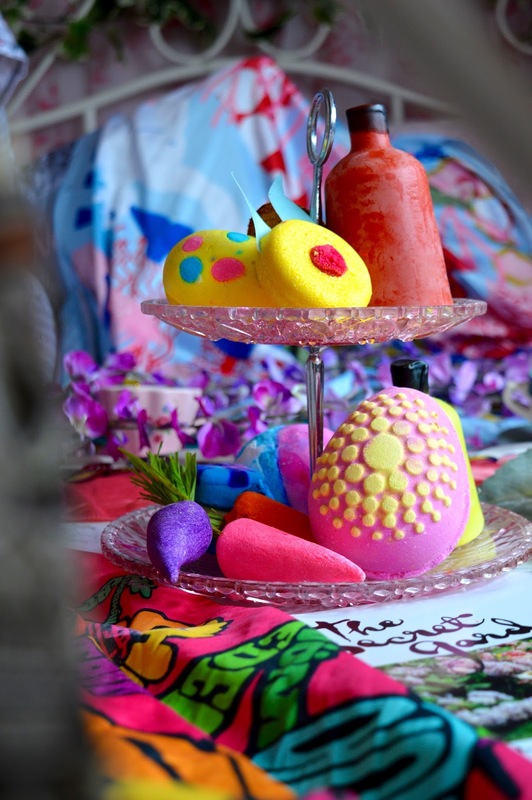 Full to the brim with bright and vivid colours and delightful scents, their Easter range always coincides perfectly with the spring months, therefore ensuring LUSH is the scent of the season. 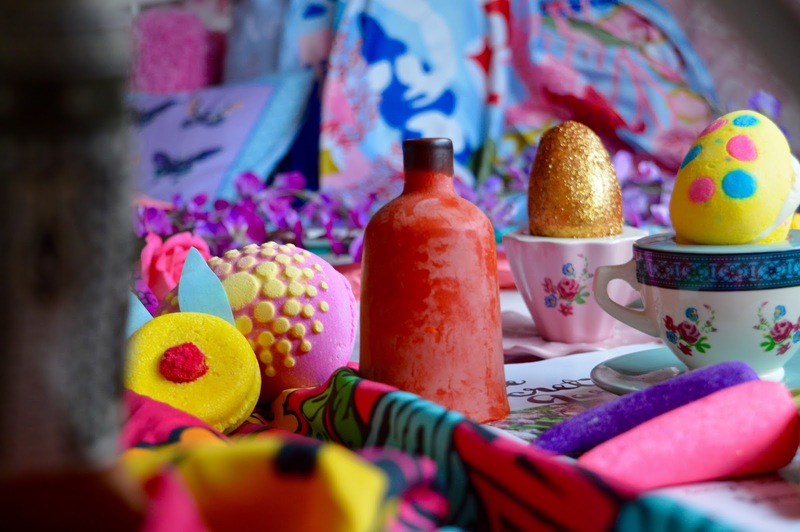 Within their 2018 Easter range, there's a whole host of gorgeous goodies! From golden eggs to colourful carrots, and rain showers to cream eggs – there's a little bit of everything for everybody! From their Easter collection this year I have the following: Here Comes The Sun Naked Shower Cream, Cream Egg Bubbleroon, Golden Egg Bath Bomb Melt, Wash Behind Your Ears Shampoo Bar, Which Came First? Bath Bomb, and Bunch of Carrots Reusable Bubble Bar. Keep reading this post to discover what each of the above listed products do and keep scrolling to see them in action too! The Here Comes The Sun Naked Shower Cream is divine! With uplifting scents and a bright colour, this solid naked shower cream will awaken your senses and put a real spring in your step. Containing bergamot oil and fresh orange juice, this beautiful solid shower cream will liven you up – I find that this product is perfect when used in the morning as a 'pick me up'! I definitely feel that the price justifies the product you're getting, 1) it's massive and 2) it lasts for ages! I had a shower gel version of this a few weeks ago and it's still going strong today – they're so perfect for saving money and amazing for looking after the environment too. 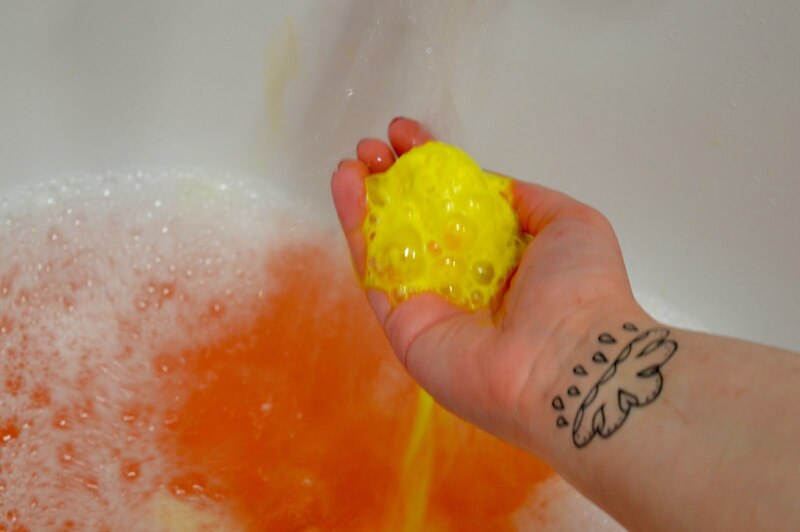 The beautiful, bright and sweet smelling Cream Egg Bubbleroon is heavenly! 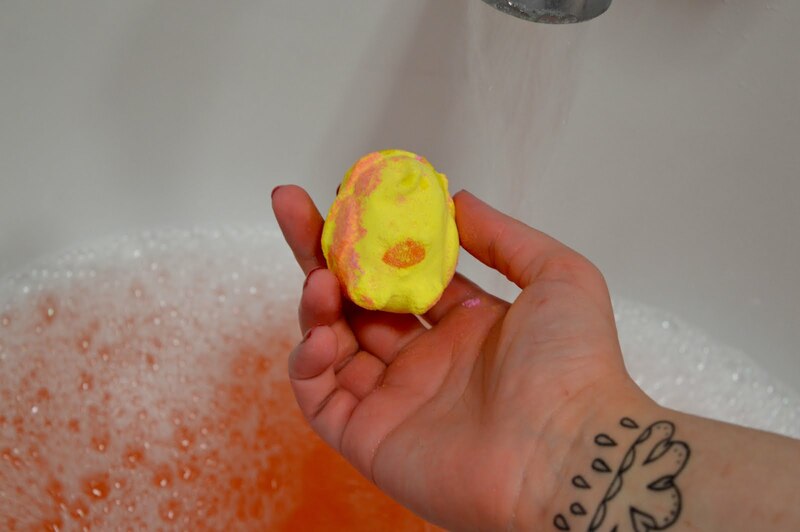 I have always been partial to LUSH's bubbleroons, they're just so creamy and they always smell absolutely delicious too. Available in a few different colours and patterns, their Cream Egg bubbleroon smells like minty buttercream due to the shea butter and spearmint combination, which is utterly divine!! Crumble under running water, break it up or hold beneath a running tap to ensure your bath is full of life, colour, bubbles and beautiful fragrance. I think that this is such a reasonably priced product because you can definitely get at least four baths out of this if you wanted to. One of my favourites, the Golden Egg Bath Bomb Melt returns every year and oh boy am I happy it does! Scented of Brazilian orange and honey, this golden delight can be used whole or cut into chunks – depending on what you'd rather really. Personally, I like to break/cut this egg into two so that I get a couple of uses out of it, as it's just so damn amazing and leaves my skin feeling so hydrated. Place the egg whole (or a chunk of it) into your bath and watch the egg fizz and melt as the oils soften and fill the bath. The golden glitter will ensure the bath water glows and shines and the scent will stick to you all day/night long. If you're looking for silky soft skin, then this little gem is for you! I love LUSH's Shampoo Bars, and their Easter special Wash Behind Your Ears is no different. I first tried one of their shampoo bars last summer and was absolutely blown away by how it left my hair looking, feeling and smelling – I was astonished that a solid shampoo could do so much good. This Easter they've brought out a super cute bunny shaped solid shampoo and I'm honestly in love. 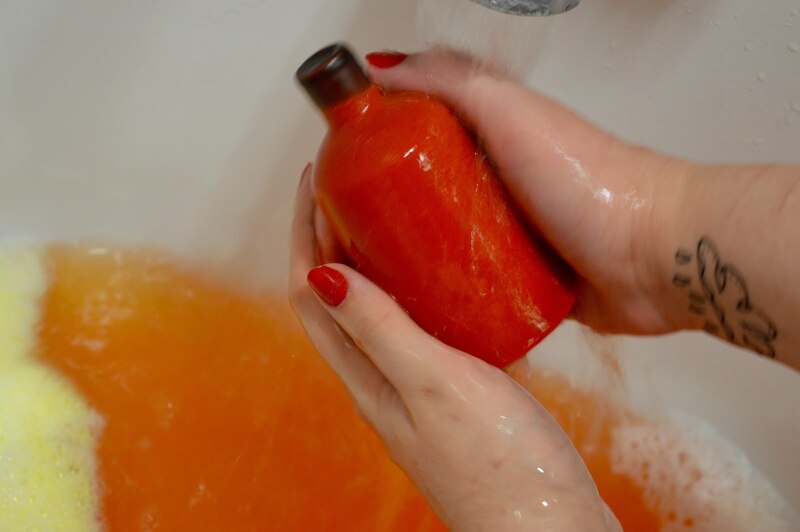 Simply lather the bar in your hands with some water when you're in the bath or shower, then apply the lathered up formula to your hair and lather again, rinse and tah-dah – silky, soft, shiny hair that smells amazing! Containing cider vinegar for its cleansing properties and to add shine, rosewood for its antiseptic properties, lemon oil to cleanse and uplift, and alfalfa infusion for its foaming and nutrient properties. This shampoo bar smells incredibly uplifting, perfect for your morning hair wash! 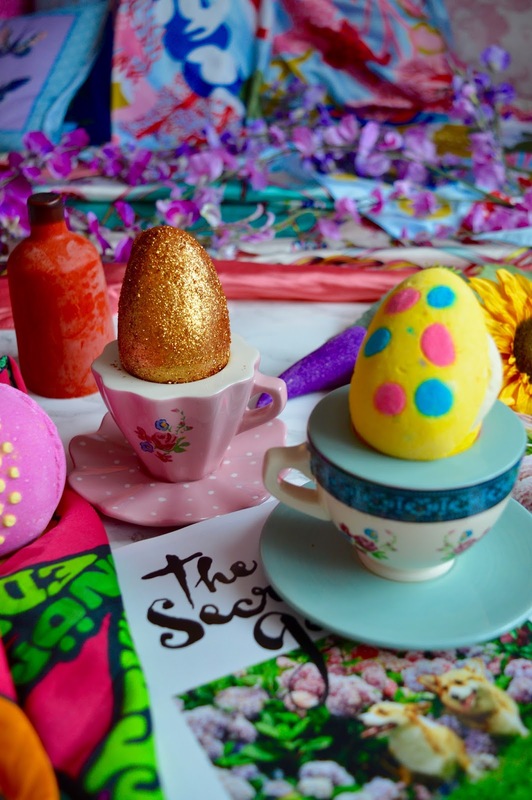 Probably the biggest bath bomb from their Easter range this year, the Which Came First? Bath Bomb smells divine and looks divine too. 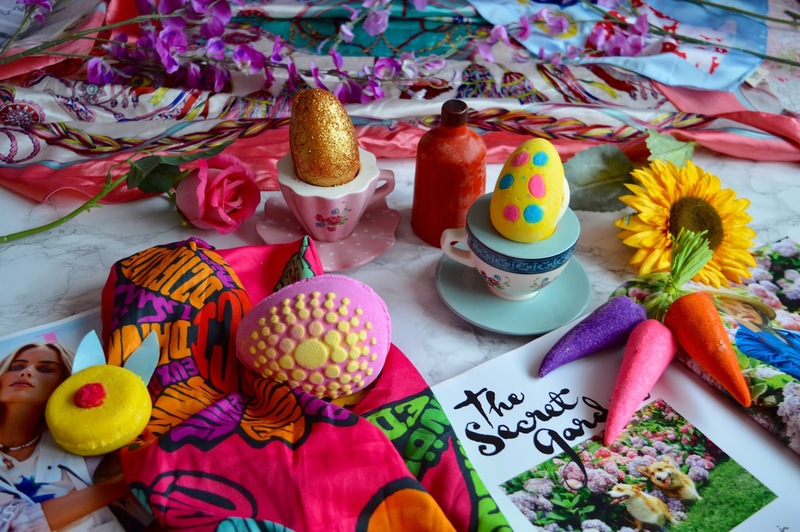 Bright pink and yellow adorn the egg, which instantly uplifts your mood. The fragrance of the egg is absolutely amazing – vanilla absolute combined with grapefruit and lemon ensure that this stunning egg fills your bath water with the glorious scent, in turn leaving your skin feeling and smelling amazing too. With bath bombs this big, I tend to break them into two so that I get a couple of baths out of them, and with this one I can get three, as once you break the egg in half, a baby chick is revealed!! 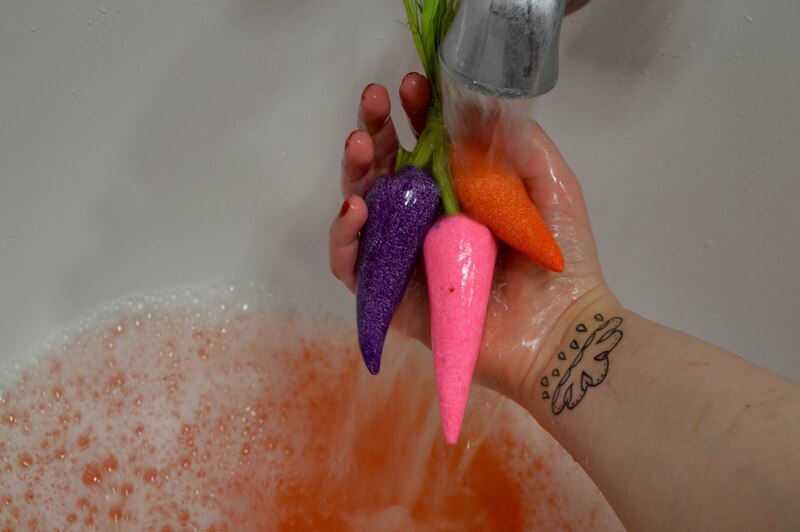 Reusable bubble bars are a godsend and LUSH's Bunch of Carrots is no different! These colourful carrots are absolutely amazing and I love them to bits. Scented with bergamot and lemon, these uplifting faux veggies make you and your bathroom smell amazing. Simply run beneath running water to colour and fragrance your bath water, then pop somewhere dry for them to dry out before their next needed. I think that the price of these carrots is pretty darn good, because you can get quite a decent amount of baths out of them. 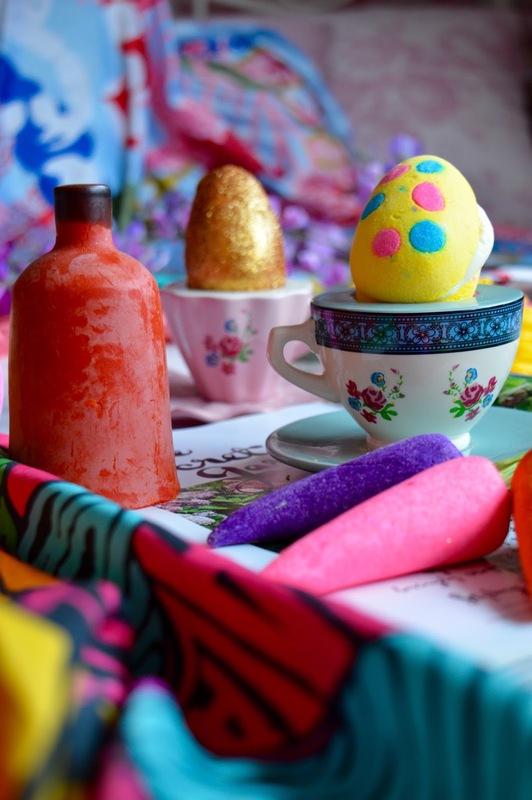 The entire LUSH Easter collection is utterly divine! Have you picked up anything from it this year? Also, let me know which from the above looks like it could be your favourite! Lush always has such cute collections. very interesting post dear love it.. It's always so fun seeing the lush special collections! They're always so fun. I love the carrots! Too cute.